This tutorial aims to help develop effective library research skills and critical thinking skills in all courses at Prince George's Community College. 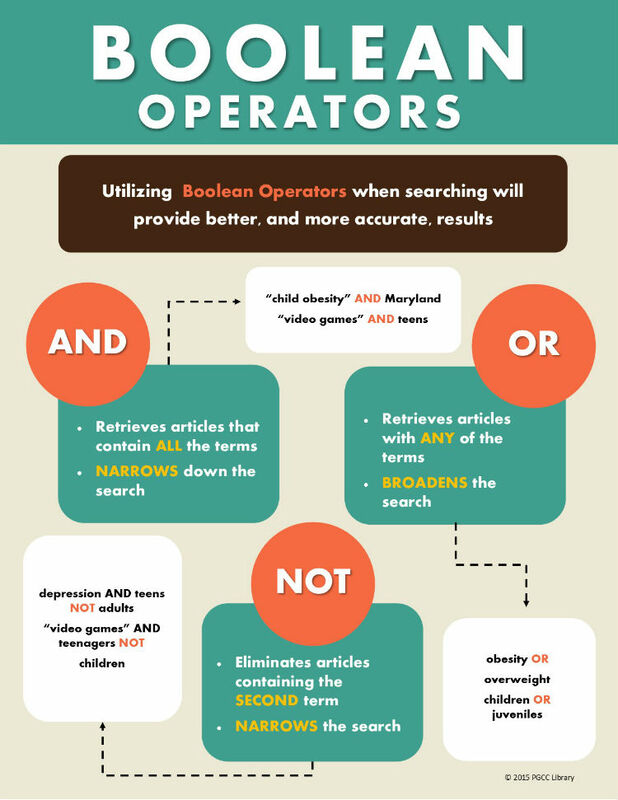 One of the basic techniques for searching is using the Boolean Operators. Boolean searching is a symbolic logic system that creates relationships between concepts and words.